In an industry exploding with options where bigger is often billed as better, BravO! National Dance & Talent Competition fills a unique void by putting the focus on what matters most - the performers. Based in Omaha, Nebraska, BravO! combines a participant, studio, and family-friendly schedule with leading edge competition elements and a staff that is dedicated, accommodating, and friendly. They take the competition experience to new heights for dancers, teachers, and spectators alike. Brendan Buchanan, Owner and Executive Director of BravO!, believes strongly in creating an intimate and focused competition weekend. 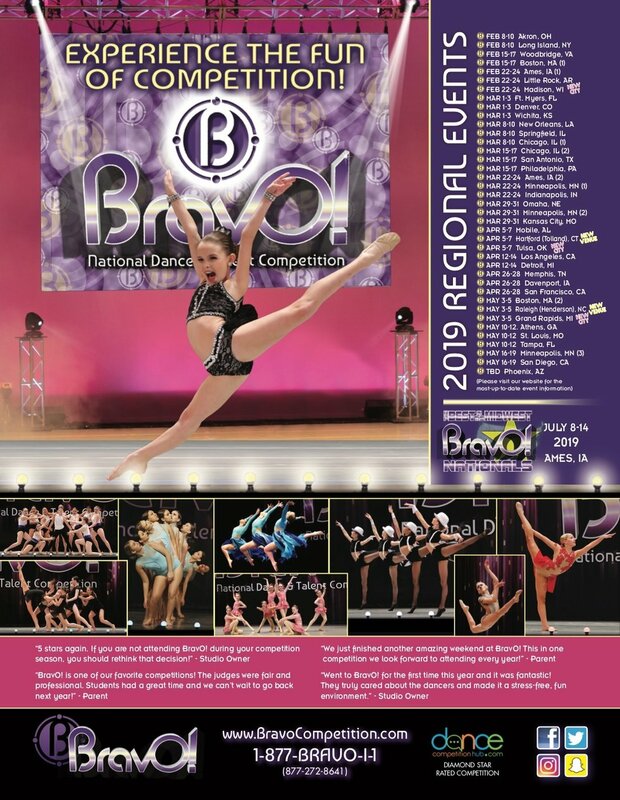 Some larger competitions may sign up over 1,500 entries in one competition, but Buchanan believes keeping entry numbers manageable and attainable creates a personalized atmosphere, allowing every dancer their time in the spotlight, hassle free. "When participants show a bigger interest in a particular city, we would rather add another event than accept more entries to that one competition," explains Buchanan. "Limiting entries allows us to provide a consistent and fun experience in every venue we visit." BravO! often receives high praise for its scheduling and ability to accommodate the lives and schedules of their competitors. Making sure to not interfere with school hours eliminates any stress involved with students missing school or worrying about making up work. Meanwhile, teachers and parents are free to handle business as usual without having to make special arrangements. With web-based entries, music upload, a computerized scoring system, three experience levels, and audio and digital performance critiques uploaded directly to studio accounts, BravO! is on the leading edge of competition technology. But where Buchanan and the staff of BravO! truly surpass expectations is in their dedication to ensuring the focus remains on the dancers and their passion to perform. 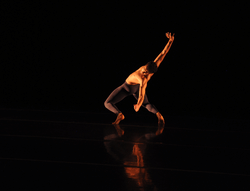 The 2 to 3 minutes each dancer spends on stage are the single most important moments that Buchanan and staff strive to curate and elevate. Professional stage sets and a live emcee, along with state-of-the-art lighting and sound, leave no doubt that the dancers are the stars of the show. Every regional event is like a mini-Nationals with all the elements in place to put the spotlight on the dancers and give every competitor their moment to shine. After noticing a limited number of Nationals options in the heart of the Midwest, and believing a Nationals destination sometimes can overshadow an event, Buchanan chose Ames, Iowa as the site for BravO! 's "Best in the Midwest" National Competition. Buchanan believes you can have just as great an experience close to home as you might in any vacation-destination city, and ensures that the focus remains on the stage and the culmination of hard work and accomplishment each student achieves through the Regional Season. 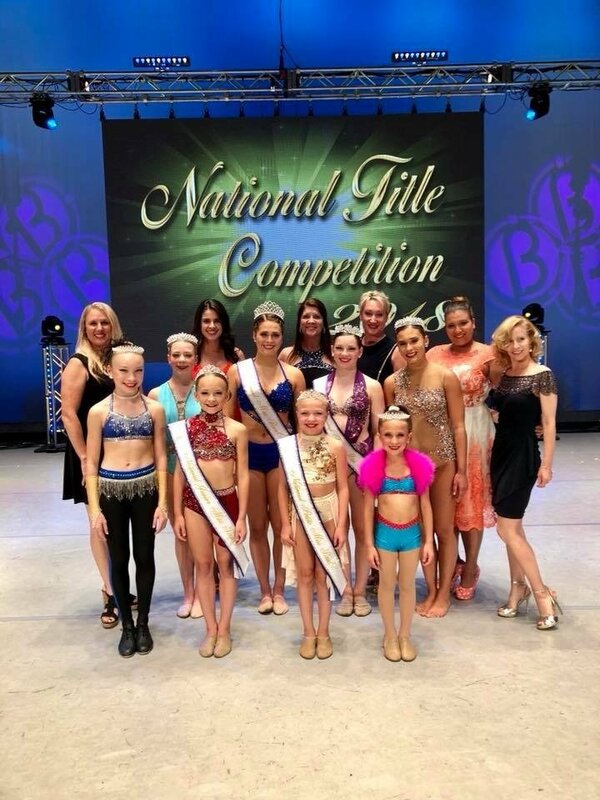 For Buchanan and staff, Nationals is their chance to build lasting relationships with studios, teachers, dancers, and their families, and offers a cost effective alternative that's all about the fun of competition. BravO! Nationals are a joyful celebration of dance, taking place on a large professional stage in the heart of a gorgeous college campus. They feature master classes taught by some of the most talented names in the industry and a separate evening Title Competition that pulls out all the stops with chandeliers, curated introductions, and elegant staging. BravO! Nationals creates multiple chances for everyone attending to make enduring connections. Buchanan and staff all agree one of their favorite events at Nationals is the Barbeque they host - bounce houses, face painting, and a dance floor on a beautiful green lawn give the competitors, parents, and professionals time to unwind and bond over the love for their shared art. Throughout the week, dancers from every attending studio have the chance to learn a routine and perform together at the opening to the Standing O!vation Showcase. This culmination of Nationals is the pinnacle of competition and glamour with an enhanced video wall backdrop, visually stunning effects, and staff in formal attire celebrating dance with unsurpassed excellence. "At the end of the day," says Buchanan, "it's all about the relationships built and the continued encouragement, education, and advancement of every dancer and every studio who attends our events. We are committed to fueling the artistic passion of future generations and providing them lasting and fun memories of their years in competitive dance." For more information about how you can discover the BravO! difference, visit their website at www.bravocompetition.com or call 1-877-272-8641. Registration opens October 1st! Enter online by November 15th for 10% off entries.